Walter Gilbert was born in Boston, Massachusetts on March 21st, 1932 to Richard Gilbert, a Harvard University economist, and Emma Cohen, a child psychologist. In 1939 his family moved to Washington D.C., where he attended public schools and later the Sidwell Friends School. Gilbert developed an early interest in science; he ground mirrors for his own telescope, joined scientific clubs, and in 1949 was awarded a Westinghouse Science Scholarship by the Science Clubs of America Talent Search. In addition to his scientific pursuits, Gilbert wrote poetry, prose, and plays, and would go on to study philosophy and Chinese while an undergraduate. In 1949 he graduated from Sidwell Friends School and pursued his scientific interests at Harvard University, studying chemistry and physics. He was awarded numerous scholarships, was elected to the Harvard Chapter of the Society of Sigma Xi, and graduated with a degree in physics in 1953. He then went on to attend Cambridge University (Trinity College) in England, aided by a National Science Foundation fellowship. At Cambridge his thesis advisor was future Nobel laureate Abdus Salam, and in 1957 he graduated with a PhD in mathematics. After graduation he returned to the United States and married Celia Stone, a poet he met while attending Sidwell Friends School. In 1958 Gilbert joined the faculty at Harvard as a lecturer in physics, and in 1959 he was appointed assistant professor of physics. In the early 1960s he became interested in messenger RNA and worked with James D. Watson on experiments to isolate the nucleic acid. From this point on Gilbert’s scientific career would be primarily focused on molecular biology; his first paper on messenger RNA appeared in Nature in 1961, while his last paper on physics would be published in 1964. In 1964 he was appointed associate professor of biophysics, and in 1968 he was promoted to professor of biophysics. Beginning in the mid-1960s he began investigating why different cells produce different proteins (even though they have identical DNA), and with Benno Müller-Hill he isolated the lac repressor gene in Escherichia coli, which prevented the production of certain enzymes except when lactose is present in the cell. This confirmed an earlier theory, proposed by Jacques Monod and François Jacob, that repressor genes regulate the process of protein synthesis in the cell. He then went on to develop a pioneering method for determining the sequence of nucleotides in a nucleic acid (Frederick Sanger independently developed the same method). For this work he was awarded the 1979 Louisa Gross Horwitz Prize from Columbia University (with Sanger), the 1979 Albert Lasker Basic Medical Research Award (with Sanger and Roger Wolcott Sperry), and finally the 1980 Nobel Prize in Chemistry (with Sanger and Paul Berg). In 1978 he cofounded, with other prominent biologists and businessmen, Biogen, one of the earliest biotechnology companies. He left Harvard to run the company in 1982. In 1985 he resigned as chairman and CEO of Biogen and returned to Harvard to conduct research. 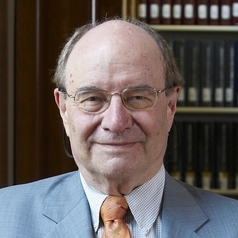 In 1987 he was appointed Carl M. Loeb University Professor at the university. In 1992 he founded the biotechnology company Myriad Genetics, and would go to serve on the advisory board of numerous other biotech firms.